If you happen to be at the Scugog Arena anytime soon, check out our latest advertisement. 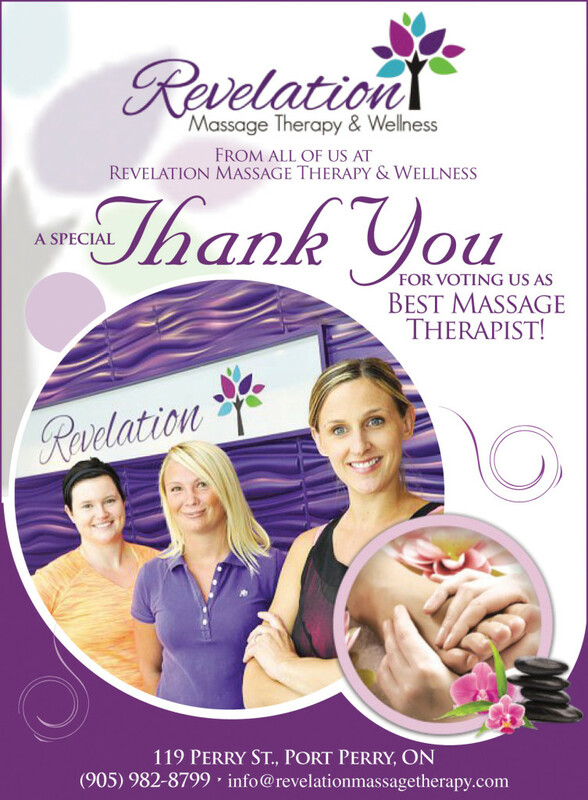 We are so grateful to all of our amazing clients for voting for us in the Port Perry Star’s 2014 Reader’s Choice Awards. It means the world to us that you think we are the best! We think you are all the very best as well! We are so excited to welcome Melissa C. Harrison, RMT to the team at Revelation Massage Therapy & Wellness! 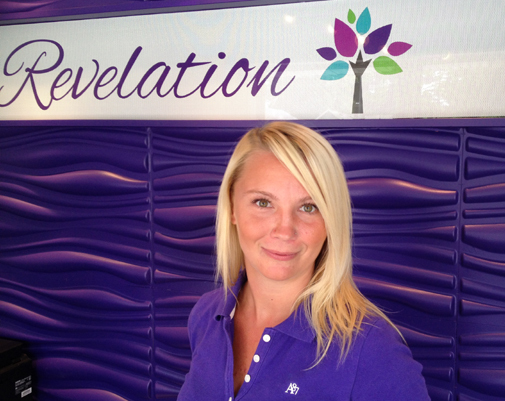 Melissa is new to Revelation but is already famous for her DEEP TISSUE treatments. If you are looking for a deep massage, give Melissa a try. Born on July 30th, 2014 at 4:14am. 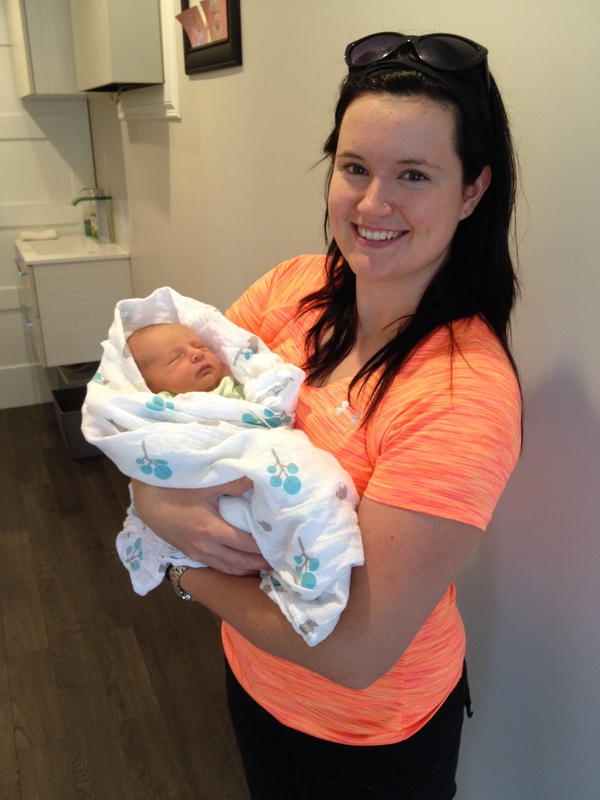 Proud Mama, Lisa Mantifel, RMT and baby are doing well. FREE Athlete Massages at Port Perry Dragon Boat Races! 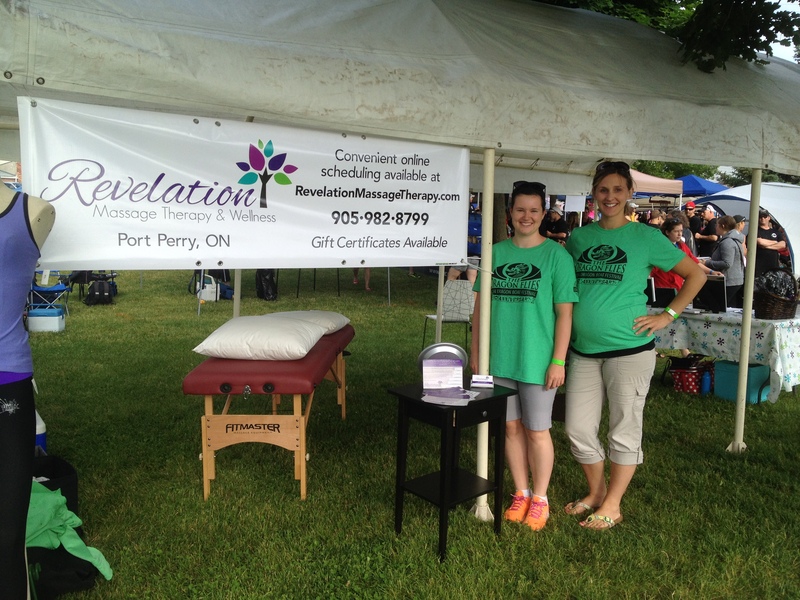 It was another successful day at the Port Perry Dragon Boat Races, filled with the gift of massage! 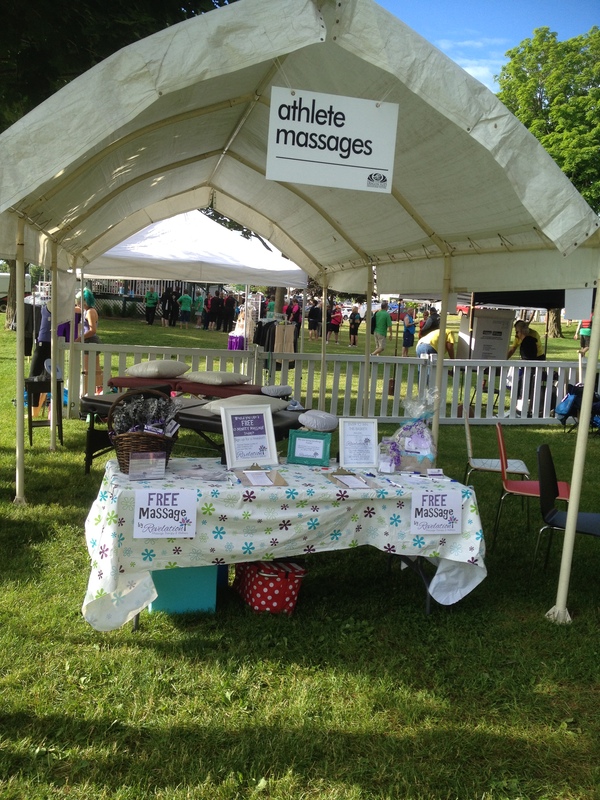 Emily Edwards, RMT and Lisa Mantifel, RMT had a blast offering free massages to the dedicated athletes that came out to paddle in the races while promoting breast cancer awareness. Thank you to everyone that came out to support this cause and many other local programs and hospitals. We truly couldn’t have asked for a more beautiful summer solstice day! 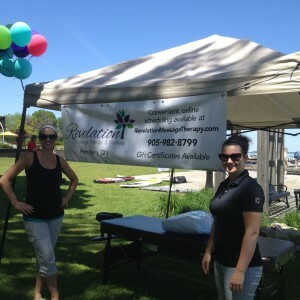 Thank you to all those who came out to paddle, for a massage, and to just plain enjoy the day! It was an amazing day at the Canoe the Nonquon this year. 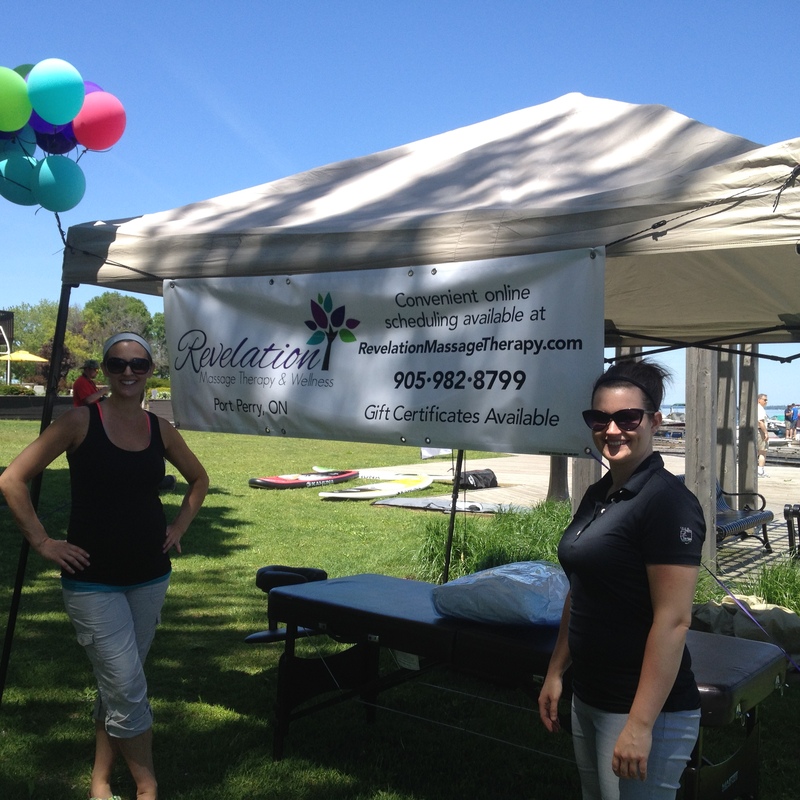 Lisa Mantifel, RMT and Emily Edwards, RMT were able to give away a ton of free 10-minute corporate style massages to the paddlers, who were so greatful! Thank you for inviting us to be a part of this amazing fundraiser for the Scugog Shores Museum. We were also able to donate an awesome basket towards the silent auction containing a gift certificate for a one hour massage, a Hug Shrug, epsom salts and some water. We are so excited for the launch of our brand new and fantastically re-imagined website! 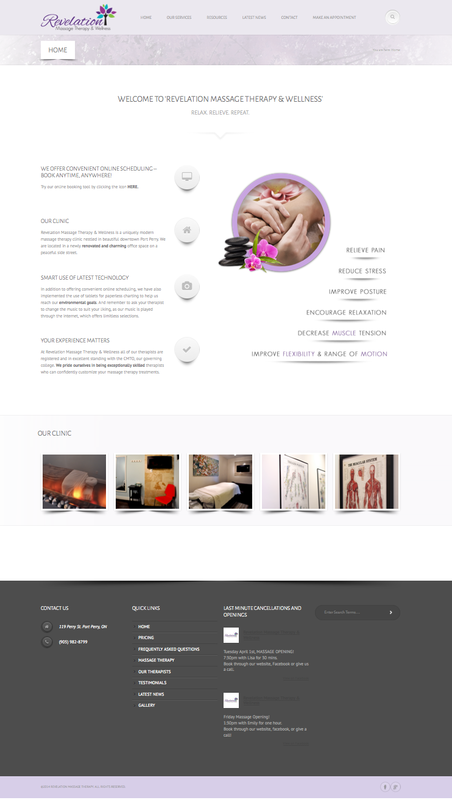 At Revelation Massage we love the clean, crisp and modern look you can find inside the walls of our massage therapy clinic, and are now so happy to have a site that finally reflects who we are. 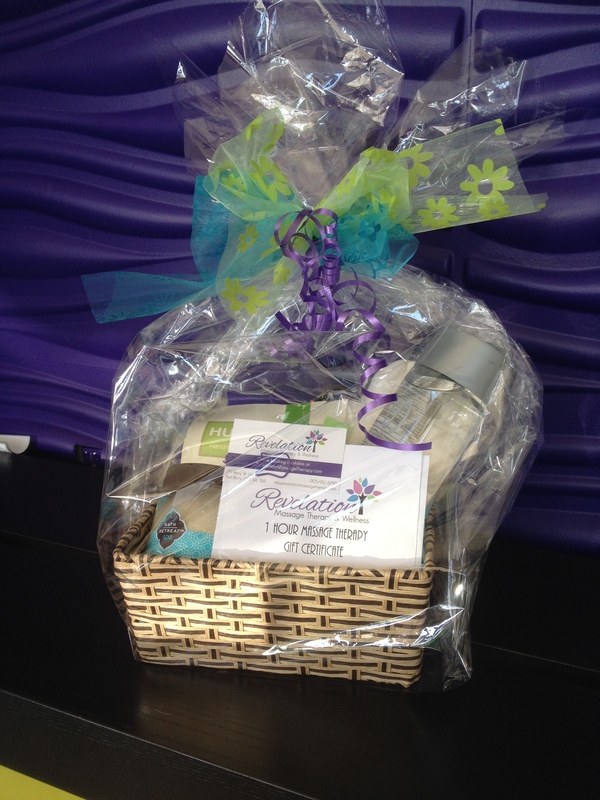 Nothing makes us smile like the happiness of our clients! So hearing about how much you LOVE our services like convenient online booking, quick responses to phone calls and emails, and last minute appointment opening announcements on Facebook, well, THANK YOU! … Even if you don’t “do” Facebook, you can still visit our website and read our live Facebook feed to catch the word on last minute appointment availability. We know that our clients have busy lives, so we hope that our site helps you fit massage and all its benefits into your busy schedule a little bit more conveniently. Stay Tuned! We will be continually be working to make our site even more awesome. We are currently working on bringing you the convenience of purchasing gift certificates directly from our site.